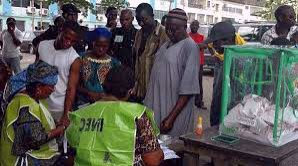 About 11,000 applicants have applied for the over 3,000 ad-hoc vacancies for the forthcoming local government council elections in Kwara State. Abdulrahman Ajidagba, the chairman of the Kwara State Independent Electoral Commission, KWASIEC, disclosed this in Ilorin on Monday. The News Agency of Nigeria reports that Mr. Ajidagba said that the applicants had undergone training and written test to justify their capabilities for the exercise. The KWASIEC boss said the documents of the successful ones among the applicants were currently being sorted out at the commission’s office in Ilorin. The chairman said the commission would soon release the names of successful candidates that it would engage. According to him, the commission had put necessary machinery in place that would enhance its conduct of credible, fair, reliable and acceptable elections. The council election is slated for November 18. » NDA Notice To 2015/2016 Postgraduate Applicants.